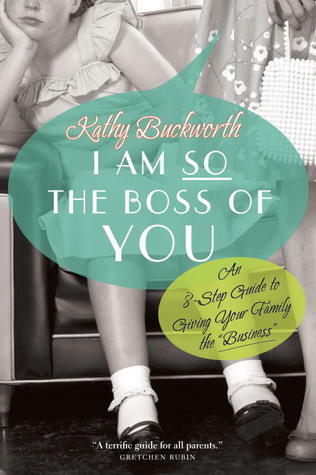 Description: A hilarious, tongue-firmly-in-cheek look at a promising new trend in parenting: being the boss! In this day and age - when parenting books are a dime a dozen - it''s easy for a mom to get confused. Do you go democratic or hover like a helicopter? Do you take a tiger-ish approach, or something more "hands off," like those French women who supposedly raise perfect children? Parenting author and humourist Kathy Buckworth has a completely different idea: Why not let the boardroom be your guide? In I Am So the Boss of You, Buckworth imagines a world where corporate policies and practices rule on the home front, and Mom is most definitely in charge!